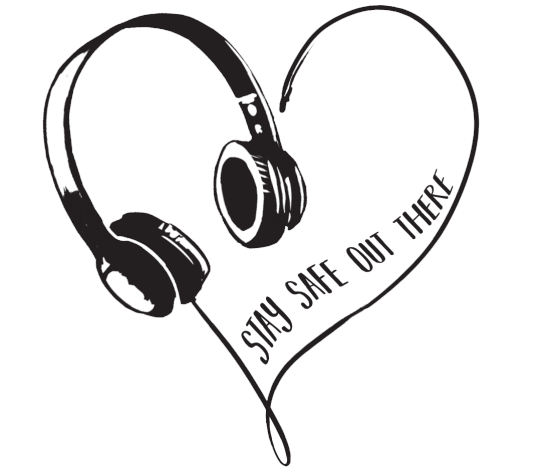 State of the Township: Spring 2018 – Zombies, Run! Welcome citizens! It’s been a while, hasn’t it? For most of this year, we were hard at work on Zombies, Run! 7.0, which launched a couple of months ago and included a full redesign that made it faster and easier to run. We also spent a lot of time updating and improving our systems to cater for GDPR. Rather than spending a lot of time looking behind us, I want to talk about what’s coming up next in the Zombies, Run! world. But first, I want to say farewell to a few people at Six to Start who left the company since our last update – Lou Atherton, Brad Porter, Alex Benini, and Stephen Charman. They were all immensely helpful in the development and support of not just Zombies, Run! but our other apps including The Walk and Racelink, and we all wish them well in the future. Zombies, Run! 7.0 saw an almost complete rewrite of the front-end of the app (the bit that you can see and interact with, rather than the back-end, which would include things like the “run engine” that schedules missions, clip playback, and chases), particularly on iPhone. This didn’t just make the app look prettier – it will also make it easier to add new features and improvements in the future. One of the new features coming this year will be an all-new Statistics screen. 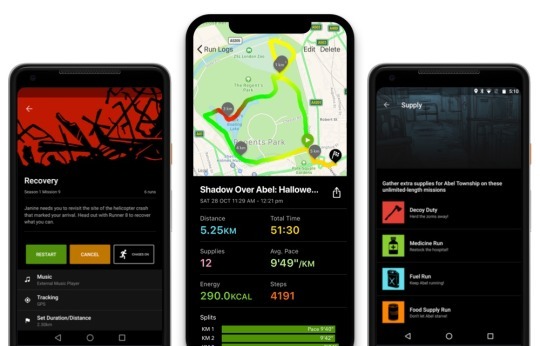 It’s inspired by the clean design style we’ve used in the rest of the app, and adds a whole host of new information, including Personal Bests. We’ll also be working to improve Accessibility on both iPhone and Android, particularly for visually-impaired players. On the iPhone, this will include major new features made possible by iOS 12’s new Siri Shortcuts, which we can’t wait to show you later this year. Speaking of which, we’ll be updating all our apps to be fully compatible with iOS 12 and Android P (aka Android 9.0). This always involves more work than you’d expect, but it’s something that all app developers have to do to keep things running smoothly. Finally, we’ll be reviewing our Apple Watch and Android Wear support. We know there are connectivity problems between Zombies, Run! on the Apple Watch and the iPhone, and we’re hopeful that WatchOS 5 might help with this. I’m really enjoying Season 7 so far – without spoiling anything, I think it’s one of our best, and occasionally I reflect on the fact that Naomi and her writers have been able to maintain such a high level of quality for seven years. Take that, TV shows! And there’s still a lot more twists and turns to come this season, since we’re not even halfway through yet. Next month, our Halloween Virtual Race will be going on sale. If you like Jurassic Park and Westworld, then you’ll love this year’s story – and we’ll have some great new types of gear on sale, with brand new designs. Plus, we’re bringing back the ARG and website for this race! Last but definitely not least, our Board Game will be getting a whole new set of side missions and stories, along with feature updates and bug fixes. We’re really pleased with how much people are enjoying the gameplay and story, and we think these updates will make the game even more fun and easier to play. I’m really happy with this year’s release of Zombies, Run! 7.0. It’s not just a redesign – it makes the app easier to use for all players, new and old, and it fixed a lot of long-standing bugs. These improvements have been reflected in our buoyant player numbers and our steadily increasing subscriber base (which continues to be the very best way to support Zombies, Run!). And with the Accessibility and Statistics improvements we’re releasing later this year, all the core features of the game will be fully up-to-date and future-proof. So, what comes next? We have big plans for 2019 that will bring major new features to the app, reaching areas we didn’t cover this year, and we’d like to give them all the time we have. There’s nothing to announce now, but stay tuned – and stay safe out there! Next Post Our Casio Competition Winners!